Kidneys do a tough job. Filtering and excreting waste products in the bloodstream is just the start. Your kidneys also maintain the body’s overall fluid balance as well as release hormones that make red blood cells, ensure bone health, and regulate blood pressure. We put our kidneys through a lot, both knowingly and unknowingly, via diet, medications, and environmental toxins. The result can be a struggle with kidney cancer, stones, polycystic kidney disease or even kidney failure. Some stresses on our kidneys can’t be helped, and because they are designed to handle toxins, we can trust that our kidneys are tough. But any organ can become overburdened and sustain damage. You might be surprised to know how many foods can damage the kidneys, even seemingly healthy ones. Make sure you’re not overdoing it on any of the following 7 foods. If you are prone to kidney stones, nuts are not a good snack. They contain a category of mineral called oxalates, which are found in the most common type of kidney stone. If you’ve had stones in the past, skip the nuts all together. For healthy people, it’s important to be aware of your intake of oxalate-containing foods, such as spinach, beets, potato chips, French fries, and bran flakes. 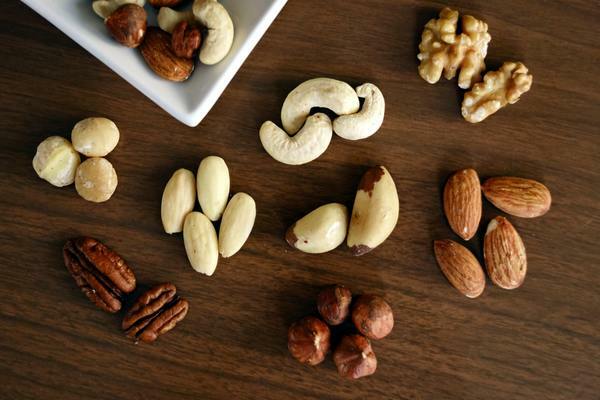 Some of these items, including nuts, can be very healthy additions to your diet. But as with all things, balance is key. Choose a variety of greens rather than just spinach, and eat nuts only in moderation.